Securing $400,000 in funding to place security cameras on St. Croix, St. Thomas, and St. John in Christiansted, Frederiksted, Charlotte Amalie and Cruz Bay. The Foundation raised funds for maintaining the cameras and, today, we are identifying funding to upgrade the system on all three islands. Providing funding and training so that Bicycle Patrols could immediately commence on St. Croix and St. Thomas. Today, Bicycle Patrol Units are well-established in Christiansted and Frederiksted on St. Croix and Charlotte Amalie on St. Thomas. Ensuring a strong presence in downtown Christiansted, the Foundation has provided the Christiansted Bicycle Patrol with rent-free office space in Sunday Market Square since 2002. Total investment: $70,000. Funding Training Programs for officers in fingerprinting, homicide investigation, and bicycle and K9 patrols. Launching our Lighting Initiative to ensure that our historic town districts are well-lit for both safety and to increase economic activity in our downtown centers. Having procured a proprietary light fixture that was approved by the V.I. Historic Preservation Commission, the Foundation worked with downtown merchants and the V.I. Energy Office to encourage property owners to turn on their exterior lights at night. 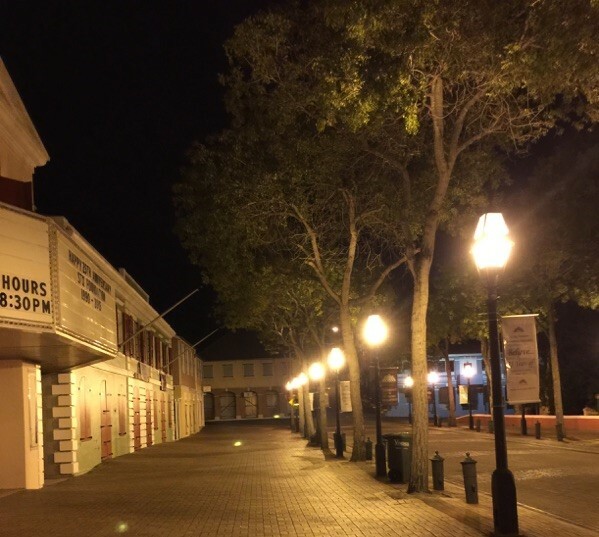 We also provided energy-saving bulbs and cost-effective light fixtures, ensuring that our historic towns shine bright and safe.